Like the strawberry, yet on countless further levels, Ontario wines have elevated in quality with exponential consistency in recent times. 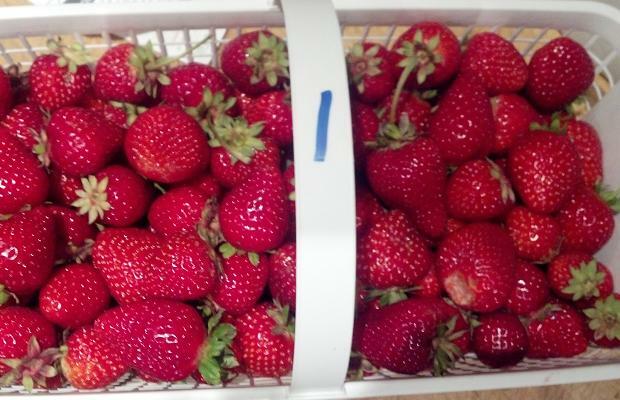 I can remember rushing out to Simcoe County to pick strawberries in late June at Visser and Barrie Hill farms, only to see the season end as abruptly as it began, after just a few weeks of plump, flame-red, succulence. Times have changed. Like the plant belonging to the family of Fragaria genus, Ontario wines, across the board, have evolved. The Everbearing Strawberry can be picked well into the Fall. Was it not so long ago the consumer chose Ontario wines with sporadic indifference? To Japan, exports of Canadian wine have doubled in the last five years. This is no small feat and with thanks to an all Canadian wine store owned by Jamie Paquin called Heavenly Vines. Domestically speaking, purchases of local wine are as strong in October as they are in July. Times has changed. Ontario winemakers have figured it out. The “world-class” comparative humanities of aging and longevity aside, the comprehensive and widespread phenomenon of excellence, regardless of vintage, is now an Ontario reality. I would not make the call that 2013 was a vintage of the decade but very good wines were made. There are no bad vintages in Ontario. That concept is mired in the pessimistic rhetoric of the past. The winemaking camaraderie excogitates to mature as one big happy guild in pursuit of the common good. Vintners are focused and intense; on terroir, micro-climate, canopy management, picking times, pure and clean fruit, élevage and on honest wine. The industry is currently fixated on making great product. Whatever beefs critics and consumers have with varietal choices, marketing failures or suffocating consumer systems, what is happening in bottle is nothing short of brilliance. Morale is at an all-time high. How else to explain the ability to weather the storm of a brutal winter in 2014? Enzo Barresi of Colio Estates told me yesterday that he does not bemoan the loss of vines. Less Merlot? So what? The ability to make polished wines from other grape varieties replaces fear, dread and loathing. The same goes for Rosewood Estates. No more Sémillon? “What can you do.” says Krystina Roman. Concentrate on excellence elsewhere. Soldier on. The November 8th VINTAGES release coming up this weekend is a prime example of the strawberry in the room that is Niagara wine. I count no fewer than eight examples of an eminence front in output. From Riesling and Sauvignon Blanc to Chardonnay and from Pinot Noir to a Bordeaux-styled blend, these eight wines are elephantine examples of what Ontario does best. This entry was posted in 20 Mile Bench, Beamsville Bench, Canada, Flat Rock Cellars, Hidden Bench Winery, LCBO, Le Clos Jordanne, Niagara, Ontario, Tawse Winery, Vineland, VINTAGES, VINTAGES Essentials, VINTAGES Releases, Wine Country Ontario, WineAlign, Wines Tasted and tagged Alcoholic Beverage Manufacturing, Beverage Manufacturing, Beverages, Cabernet Franc, Cabernet Sauvignon, Chardonnay, Culture and Lifestyle, Donovan, Drinks and Beverages, Ed Madronich, Featherstone Winery, Food and Beverage Sector, Food and Cooking, Food and Wine, Harald Thiel, Jay Johnston, Marlize Beyers, Merlot, Michael Godel, Paul Pender, Pinot Noir, Radiohead, Red Wine, Sauvignon Blanc, Sébastien Jacquey, Sister Sledge, Tasting Notes, Taylor Swift, The Foreign Affair Winery, Vineyards and Winemakers, White Wine, Wine, Winemaking.